Sept - Dec 2009 Over 90% of the games are annotated by the players who played them. The classification code system facilitates the search by openings and variations, and the system of annotation signs and symbols is perfectly understandable to everyone. There are also the most interesting endings, combinations, studies, the ten best games and the ten most important theoretical novelties from the previous volume, tournament crosstables and thorough indexes of players and annotators. Column „Modern Chess Theory“ completely covers three most popular openings B01 Scandinavian defence B76 Sicilian Dragon D85 Exchange Grunfeld Games covered. 295 annotated games and 440 variations Period covered. Events held between September 1st, 2009 and December 31st, 2009 Events covered. 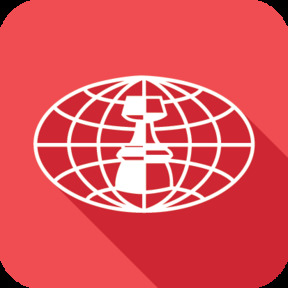 Bilbao, Jinzhou, Karpov – Kasparov (m), Nanjing, Ohrid, Hoogeveen, Novi Sad, Anand – Karpov (m), Moscow, Khanty-Mansiysk, London, Russia (ch), etc. Contributors. V. Anand, Kramnik, Morozevich, Motylev, Vitiugov, Bu Xiangzhi, Ju. Polgar, Tiviakov, Krasenkow, Ivan Sokolov, A. Beliavsky, Va. Salov, Macieja, Bo. Vuckovic, Sjugirov, A. Galkin, Mi. Marin, M. Gurevich, Jan Timman, L. Christiansen, Ch. Lutz, Ar. Jussupow, J. Benjamin, Ribli, Mikhalchishin, Speelman, and many others. Trademark sections. The voting for the ten best games and the ten most important theoretical novelties from Chess Informant 106, theoretical survey in ECO format, the most interesting recent combinations, endings and studies, tournament standings and crosstables, and the best of Magnus Carlsen’s creative output.